RTY-24 1 33,000 28-3/4" x 9-1/4" x 24"
RTY-36 1 33,000 28-3/4" x 9-1/4" x 36"
RTY-48 1 33,000 28-3/4" x 9-1/4" x 48"
RTY-60 1 33,000 28-3/4" x 9-1/4" x 60"
33,000 BTU Round Burner in the center creates a hot zone for Teppan-Yaki (teppanyaki) style cooking. Piezo Ignition System, allows push-to-start functionality. (Price: $280 per burner) New! 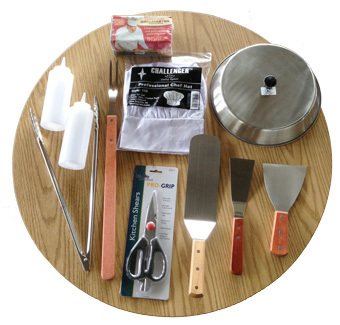 Cover, Stainless Steel, keeps griddle clean from debris or dust. (Price: Click Here) New! 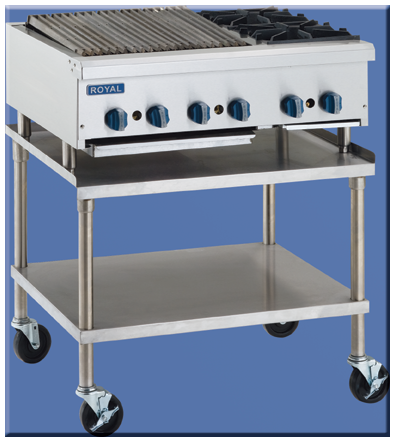 This versatile New Charbroiler Design from Royal Range is also super Energy-Efficient! Available in widths of: 24", 36" (shown), 48", 60", 72"
Fully customizable with many options as grill, smoker, and more. 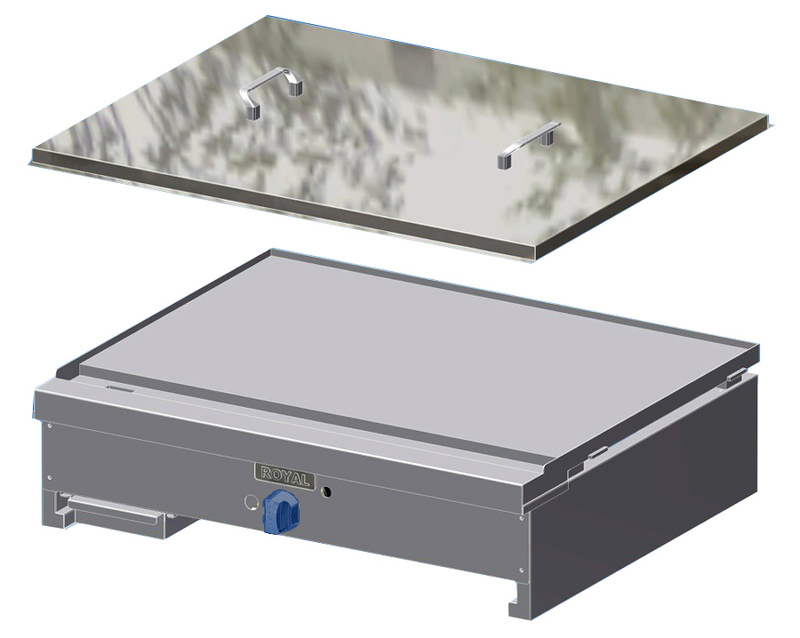 Infrared heat source dramatically reduces cook times while maintaining product moisture and product weight of cooked food items to maximize profit potential and customer satisfaction. For over 30 years, L. Vasan, President of Royal Range of California Inc., has been designing commercial and residential gas cooking appliances. During the two decades of experience Vasan provided the industry “icons” cutting edge technology. He was involved in designing and developing new products and adding features on the existing products for most the industry’s major commercial cooking appliance manufacturers. Vasan is associated with many of the industry’s key patents and continues to add innovative technology yearly. L. Vasan brought his vast experience in design/manufacturing to Royal in 2003. Since then he has transformed Royal by significantly improving the quality of the products. He has introduced new features and developed new equipment for a broad line of products that includes ranges, a complete array of convection ovens, fryers and a full complement of countertop cooking appliances. Virtually every product in the Royal catalog has been methodically tested and reviewed for potential improvements. Cost is secondary to performance which is refreshing in a world dictated by value engineering and foreign manufacturing. Vasan pushes Royal to exceed every other cooking manufacturer not only in quality and design, but in aftercare and follow-up customer support. Due to his persistence, Royal now carries a reputation for functional long lasting design, responsive customer service and after sales care.